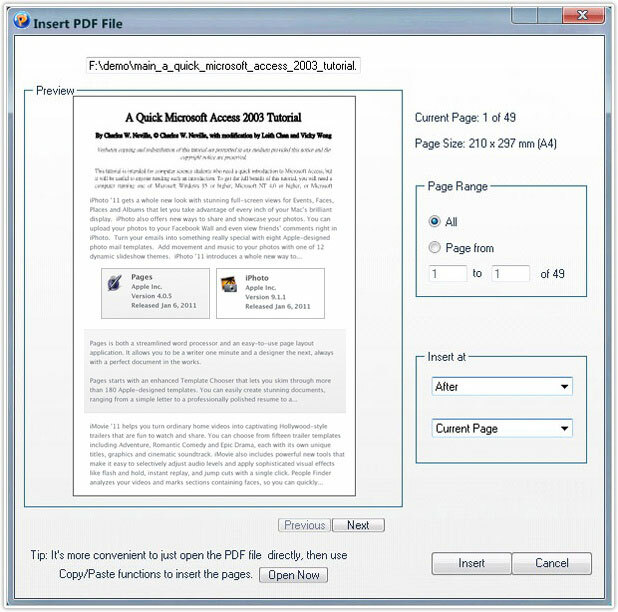 ¡°Insert Document¡± function allows the user adding all or partial pages of a certain PDF document easily to the current PDF document. 5. Click on the Insert button to finish.